New York Mom Uses Spy Dialer to Catch a Predator! "Kingwood man sentenced to 4 months..."
Today Show dating expert likes Spy Dialer. 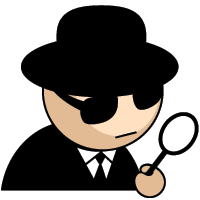 “Search Quarry” names Spy Dialer the #1 Free Online Reverse Cell Phone Search. Elvis Duran and the Morning Show. Show personality and funny man Skeery Jones likes Spy Dialer. MEDIA INQUIRIES: Our experts are happy to be sourced for any story related to phone numbers, phone fraud, phone spam, phone spoofing, fake phone numbers and phone data/privacy. Just use the site contact form to connect with us!